Beginning this week, Dark Side of the Moo will be closed on Mondays. 9 Bar Cafe is now offering a French Press Brew. 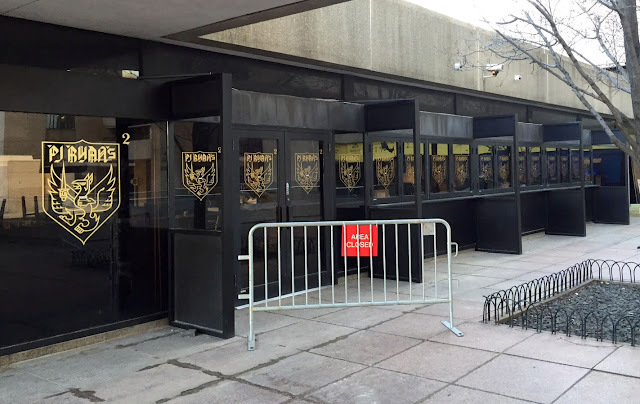 PJ Ryan's, a downtown sports bar /restaurant, currently has one location at 292 Barrow Street, but over the past several months, they've been hard at work building out their second location right by Journal Square. Miso Ramen, which opened on Tuesday, has put up an announcement with their temporary hours as they go through their soft open. Going forward, they'll be open Tuesday through Sunday from 4pm-10pm. They will be closed on Mondays. A more permanent schedule will be set after this initial opening phase. 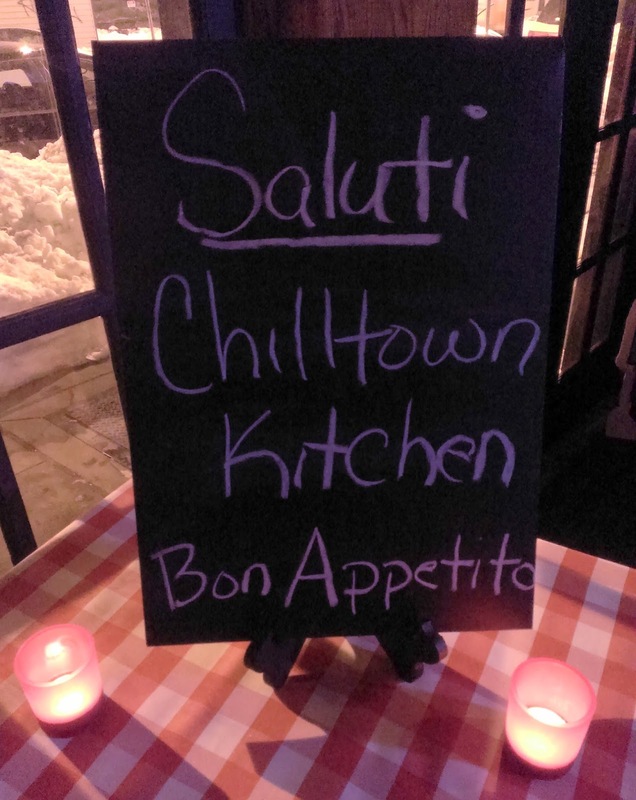 Last summer, Chilltown Kitchen started hosting monthly supper clubs, each one with a different theme and corresponding tasting menu. Founded by Alysis Vasquez, the supper clubs are centered around the idea of communal dining and a shared experience. The meal is a multi-course format and prepared by a group of local chefs using seasonal ingredients. Recently, I attended the January supper club which was "The Italian Menu". In the interest of full disclosure, I need to be clear that I did not pay to go. I was invited to attend as a guest, not in exchange for publicity or a review of any kind, but just as a kind offer to say thank you because I'd been sharing the menus on social media. The decision to post my experience is entirely my own and I am striving to make it as unbiased as possible. That said, I had long wanted to attend and was excited to find out just what it was like. The supper clubs are pop-up events in different restaurants and are generally held on Monday nights when those restaurants are closed so that they are a) less expensive to run and b) more welcoming to a private group in the space. So while the reasons are practical, the effect is actually fantastic. To have an entire space dedicated to this one group and this one meal very much feels like you're a member of a secret dining society where you are part of this private and unique culinary experience - which, in fact, you are. In short, it's exactly the right vibe for a supper club. 9th & Coles put out an announcement today that they are making some improvements over the next few weeks. While they didn't specify what the changes were, they have changed the hours of operation for the kitchen during this period. 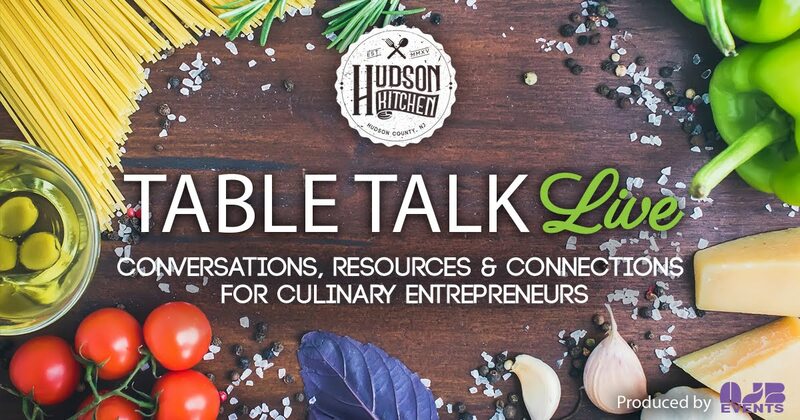 Hudson Kitchen, a new culinary resource in Jersey City, is hosting the first occasion of its new education series Table Talk Live on March 9th. Table Talk Live is a networking event for local food entrepreneurs, industry professionals, and those just interested to get together, discuss challenges and successes, and work together in an engaging and collaborative atmosphere. Good news for ramen fans, especially those who are vegan and vegetarian! Congratulations to Dan Richer of Razza who has been named as a James Beard Awards' semi-finalist for Best Chef in the mid-Atlantic. As part of the annual NYC Craft Beer Week, Barcade is hosting Bridge & Tunnel beer night this Thursday 2/25 featuring beers not available in New York. FastBoy Delivery is offering a week full of delivery deals. Each day this week, they are offering a new coupon code with a discount. Chilltown Kitchen has put out the menu for this month's supper club and by popular demand, they will be serving an entirely vegan and gluten-free menu. Miso Ramen has announced their opening date! Liberty House is hosting a hands-on cocktail class tonight (2/17) from 7:00pm-9:00pm. As an FYI, Koro Koro announced they'll be closed for a few days as they undergo some repairs. The shop will be closed starting today (2/17) through Friday (2/19), but they expect to reopen on Saturday, ready to serve up some rice balls. As a follow-up to my earlier post, The Kitchen Step, the newest restaurant from Ryan DePersio, has announced an official opening date. Win a Free Burger at Left Bank! Earlier today, Left Bank Burger Bar announced a naming contest for their challenger burger of the week. Whoever submits the winning name will get that burger for free once a week for as long as it remains part of the weekly Burger Battle. A few years ago I read an article about how the number and growth rate of coffee shops in a city were one of the best markers of how well that city was doing economically. If that's true, I'd say Jersey City is doing quite well indeed considering the recent openings of Harry Street Coffee and The Grind Shop, two new coffee shops with very different styles. Congratulations to Barge Inn, Roman Nose, Gino's Pizzeria and Restaurant, Laico's, Presto's, Renato's, Battello, and GP's for their N.J.'s Best Italian Restaurant nominations. You can vote once a day for your favorite. Choc O Pain was featured on News 12 NJ this weekend with a cooking segment and some tips for Valentine's Day. Congratulations to Third & Vine for being named the best wine bar in NJ by Buzzfeed and for celebrating their second anniversary in Jersey City. The Kitchen Step, the newest restaurant from Chef Ryan DePersio and team, is getting close to opening according to their FB page. They've finalized menus, finished decorating, and while they aren't able to announce a date yet, hope to be open within the next couple of weeks. WORD is hosting a tasting with Mast Brothers Chocolate on February 11th, beginning at 5pm. Congratulations to Barcade which got named one of the best places to hang out by Geek and Sundry. Bucket & Bay launched an espresso pop-up bar with ModCup Coffee this weekend. It will run every Saturday and Sunday beginning at 9am. The HDSID are looking for volunteers and sponsors for this year's All About Downtown Street Fair as is the Hamilton Park BBQ. Valentine's Day is getting close and Jersey City has lots of ways to celebrate! 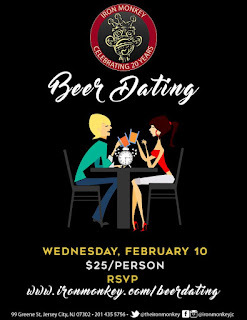 Iron Monkey is getting you started early with Beer Dating, a speed dating event with craft beer and lots of mingling. $25/person. 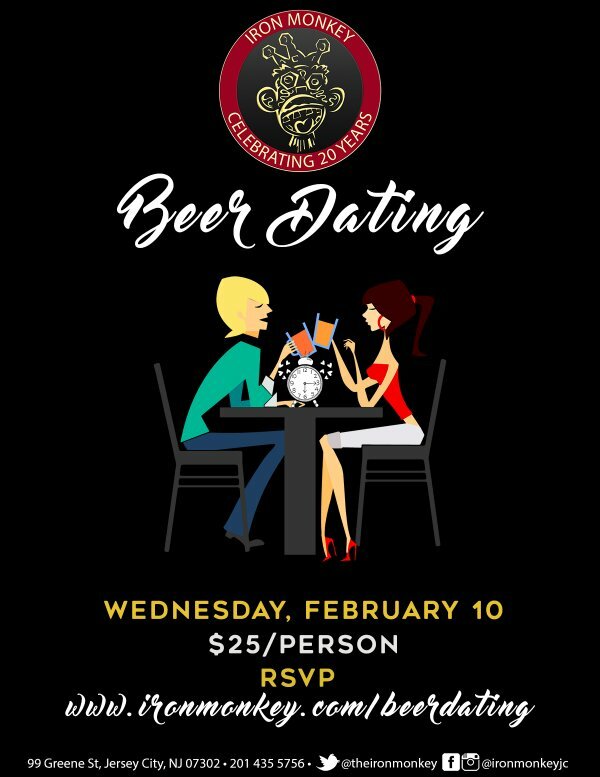 Although not specifically geared towards finding a date, the VVPA is hosting a Red Party at the Barrow Mansion on February 13th with food from Orale and Cocoa Bakery. Tickets are $20 until February 12th and $25 at the door. As the Super Bowl comes closer and we're bombarded with wing imagery, recipes, and deals, it becomes pretty hard not to develop at least a slight craving to rip into some crispy, chewy, tangy, hot wings. 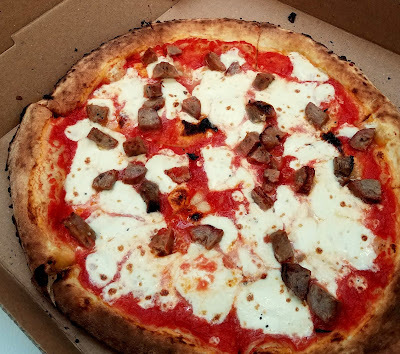 So what better time to talk about some of my favorites in Jersey City? 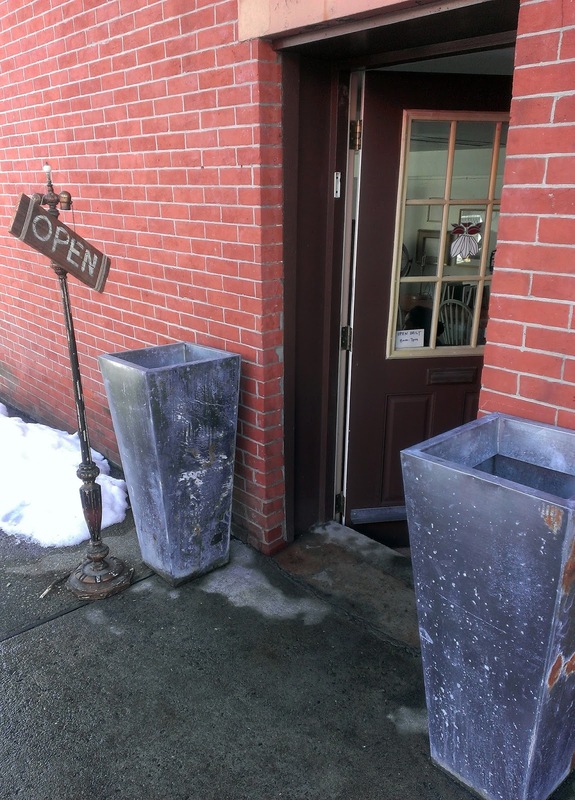 Since the start of Hudson Restaurant Week was impacted by the recent blizzard, a number of restaurants have agreed to extend it for another week until February 10th. Included on the list are Jersey City restaurants Amelia's Bistro, Bistro La Source, Fire & Oak, Hamilton Inn, Liberty Prime Steakhouse, Light Horse Tavern, Raval, and Satis Bistro. Super Bowl 50 is almost here and there are parties and specials happening all around town. Grandma Downtown is offering special prices and deals for delivery on the 6th and the 7th, but orders have to be in by today, February 3rd. 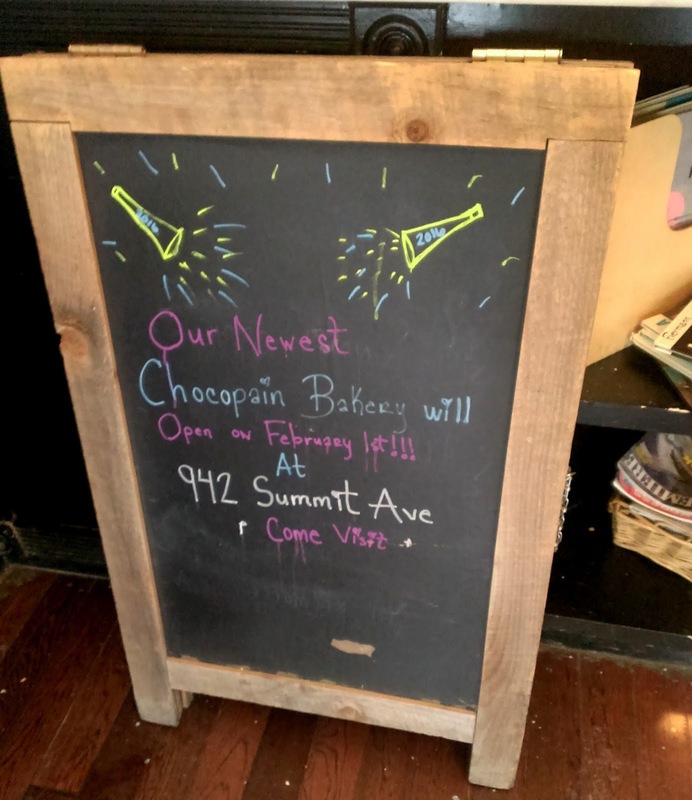 Choc O Pain is planning to open their newest location in Jersey City Heights this week! 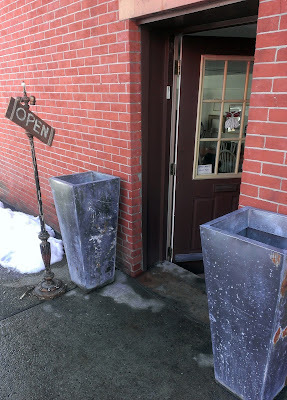 They'd initially planned to open yesterday, February 1st, but ran into some delays and will now be opening by the end of this week or possibly first thing next week. Miso Ramen, 189 Newark Ave, has been under construction since last year and while they still have paper up on the windows, they're actually finished with work and are just waiting for permits from the city. They anticipate having their soft opening within the next two weeks!